Let's start with a mixed bag of Christmassy photos I've taken over the past week. A star from my GeeWhizz quilt. When I made GeeWhizz, I was worried that it was looking too Christmassy but now we're in the midst of the festive season I quite like its hints of Christmas. 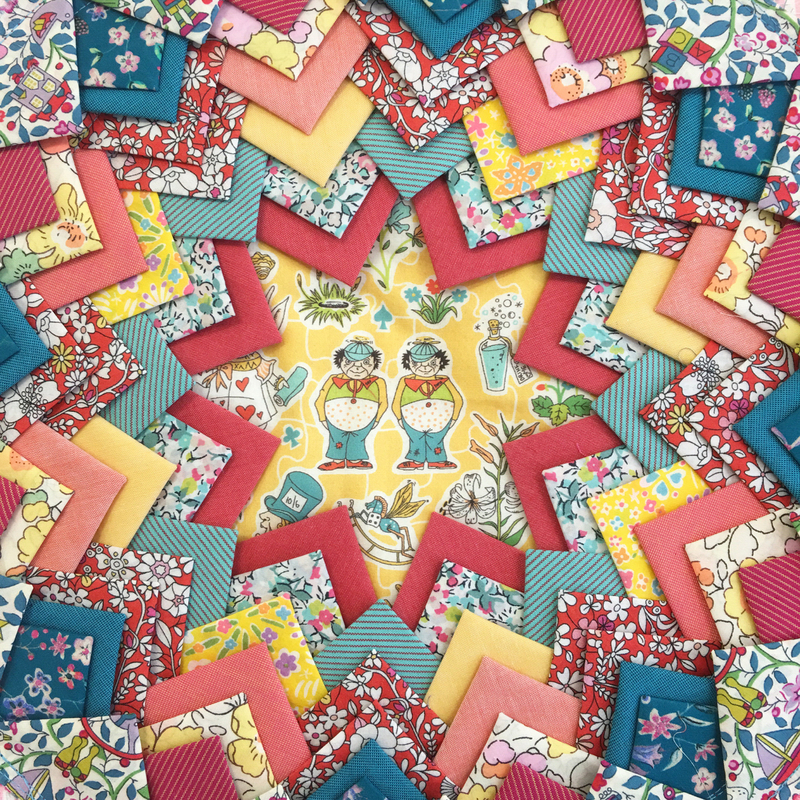 It's certainly got me scribbling down ideas for Christmas quilts using these blocks. 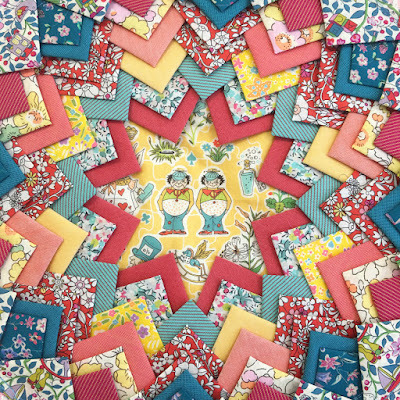 If any Christmas fans are doing my classes in 2018 and want to make a Christmas quilt as their project let me know, I've got some fun ideas!! 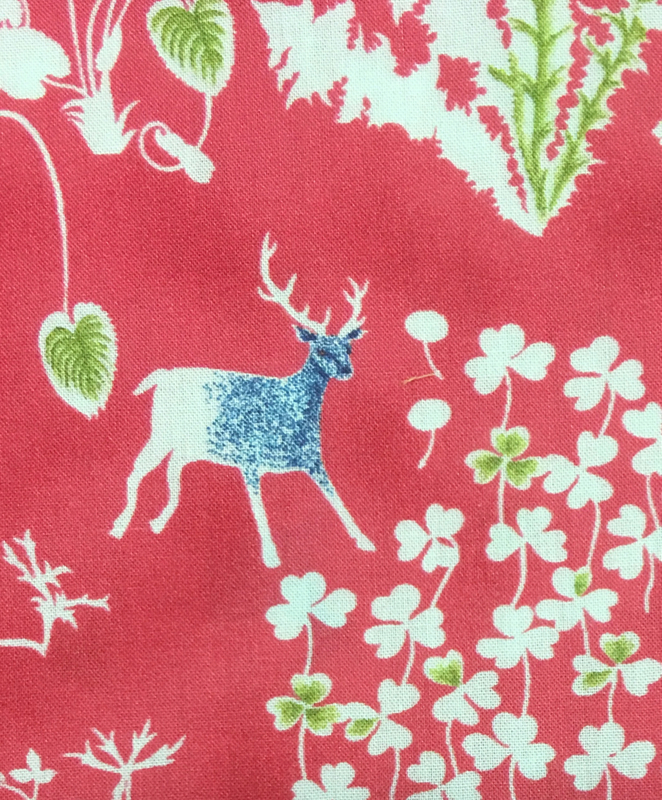 A tiny reindeer spotted on some Liberty fabric I have been playing with. The results of my Liberty play, a block featuring Tweedledee and Tweedledum. I love how utterly pretty these fabrics are, and being made of tana lawn they feel so lovely as well and beautiful combined with the Day in the Country shot cottons. I've made 8 blocks so far. Now you know what I'll be working on over Christmas. 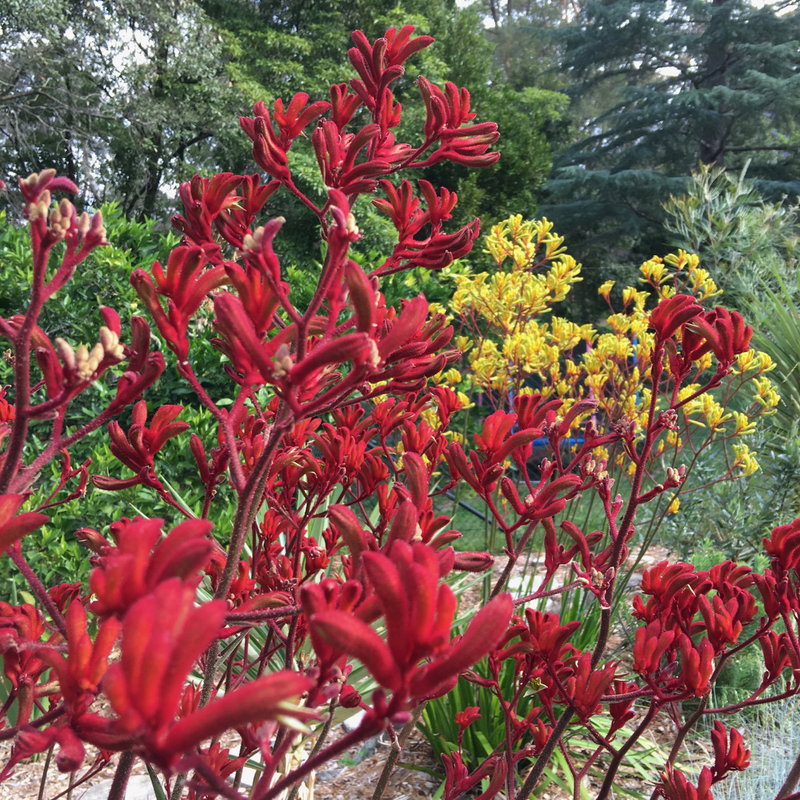 The kangaroo paw flowers in my garden are putting on a very festive display. Whenever I see Kangaroo Paw I commend Mother Nature for inventing a flower that is furry and looks like little paws waving. Here's a photo for the Doctor Who fans out there. 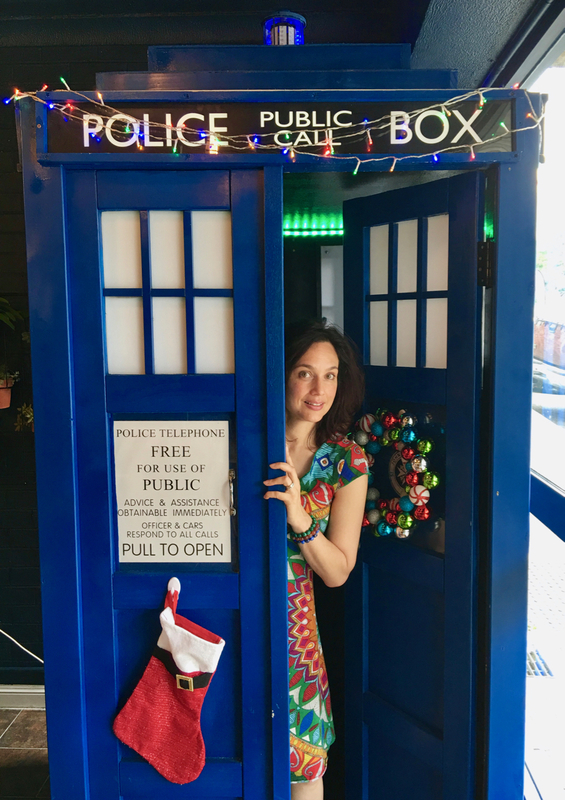 A tardis recently landed in the Blue Mountains. Of course we had to jump in and get photos. Wishing all of you and your loved ones a very special Merry Christmas full of laughter and delicious treats! I hope you're enjoying the lead up to Christmas and have lots of lovely things planned. Mr Daisy and I are looking forward to a quiet time at home cooking delicious food, He's making Peking Duck and I'm going to whip up a Green Tea Pavlova. We'll sip bubbly drinks, listen to Christmas carols and watch the birds fly around our back yard. A lovely relaxing day being thankful for all the things we have. I recently received this serviette/napkin with a cup of tea with the words "Merry and Bright" on it. 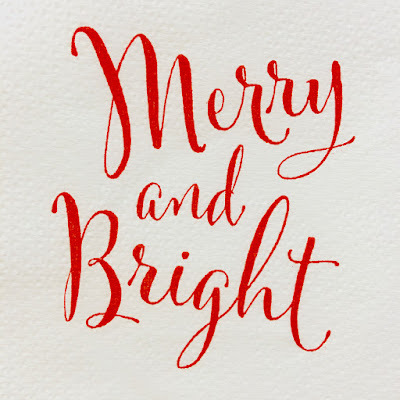 It's such a happy phrase and made me think that it could be applied throughout the year, not only at Christmas. Then I saw the phrase Merry Everything and Happiness Always which takes it to the next level and sums it up perfectly!! So wishing everyone a big happy "Merry Everything and Happiness Always!!" Merry Christmas to you and family Rachael !! Merry Christmas to you and Mr Daisy. Enjoy that delicious sounding meal. what a cute post. The Bucks you sent me years ago are still standing proud here on Buck Hill Road. Merry Christmas, Rachael! It's been a year since I've even looked at blogs....I've missed it! I think I might have to get back to it on a regular basis! Enjoy your holiday! Yum....Pavlova! You are well and truly in the Christmas spirit with your stitching, photos and plans. have a wonderful day. Merry Christmas Rachael!! I've loved reading this post today and look forward to every one of your posts. I've enjoyed looking at your posts from times before I began blogging and look forward to many more!! Donna!! So funny! Wishing you and your Mister so much happiness! This is the cutest post. Merry Christmas, Rachael! Fun post! Merry, merry to you too. May 2018 bring you even more colorful adventures! Hoping you had a merry Christmas and a wonderful day dear Rachael! I always admire the way you transform the oldish pine cone technique into nifty blocks, they are endlessly joyful! I'm too late for Christmas wishes, but do hope you have a very happy New Year and that 2018 is as successful for you as 2017; I look forward to seeing what life brings for you next. Happy New Year RACHELDAISY. I do love this name and so appropriate for you. 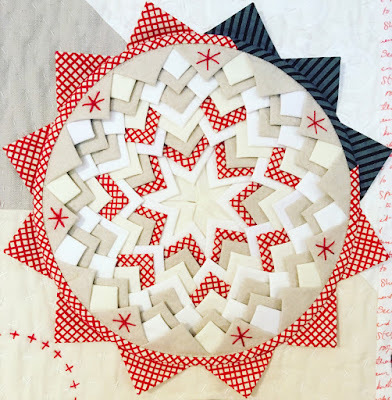 Your Folded star quilt blocks are fabulous.